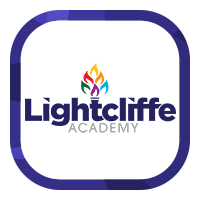 Welcome to the new website for Lightcliffe Academy, part of Abbey Multi Academy Trust. We hope to use this website as one element of communication in our drive to fulfil our mission to ‘To work in Partnership to educate, nurture and empower’. As our website develops, we hope that you will discover the ways in which Lightcliffe Academy supports students to stretch them academically; supports them pastorally and, helps them develop the skills necessary to be participating adults in an ever changing world. We continually strive for excellence so that we prepare students not only for success whilst students at this Academy but sustain them for life after school. We have high expectations of all our students and aim to equip them with the knowledge, skills and self-confidence they need to progress and achieve success. We want them to develop a life-long love of learning where they are motivated and stimulated by the world around them so that they can have a positive impact on their own life and the lives of others. Our students flourish in an environment which is welcoming, caring, calm, disciplined, inspiring and purposeful. The greatest strength of the Academy is our focus on quality teaching and learning and our commitment to the learner, which enables progress and achievement at all levels. This is supported by a newly developed pastoral team and system where support and high expectations are rooted in mutually respectful relationships. Our dedicated and forward- thinking staff focus on our culture of challenging and inspiring students, in an environment of mutual respect where each child is recognised as unique and special. We work as active partners with primary and secondary schools, both formally, as part of a developing Multi Academy Trust and informally, collaborating with partners as diverse as local universities; social enterprises; local and national businesses; the Diocese; international schools; and, of course, our local community. Our aim is to ensure that we enhance opportunities and experiences for all our students. 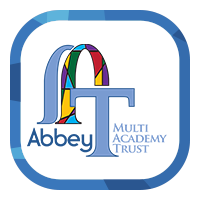 I welcome you to explore our website or visit the academy where you can learn more about our aim to work in partnership to educate, nurture and empower.